Weaning is an absolute minefield and nothing can prepare you for the fear of your little one choking whenever they put the slightest crumb near their lips. It's partly why we went down the traditional weaning route of purees. That way we knew exactly what Joshua was eating and there was low risk of choking as it was smooth purees. Now Joshua is nine months old, we're much more adventurous and he has a variety of finger foods and fruit and vegetables alongside his puree meals. We make some bits of his food ourselves but we love the ease of what is available in the shops. 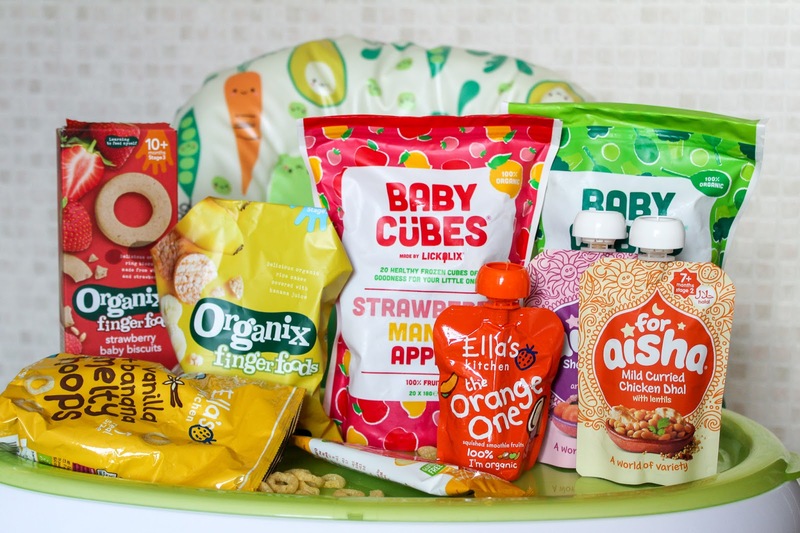 We've been weaning Joshua for five months now so we've come to know exactly what we like and have some favourite brands so I thought I'd share exactly what we love and why for anyone who is unsure where to start and what to buy. I'd never head of Lickalix until recently but the frozen baby cubes have been such a blessing during the hot weather we've been having. 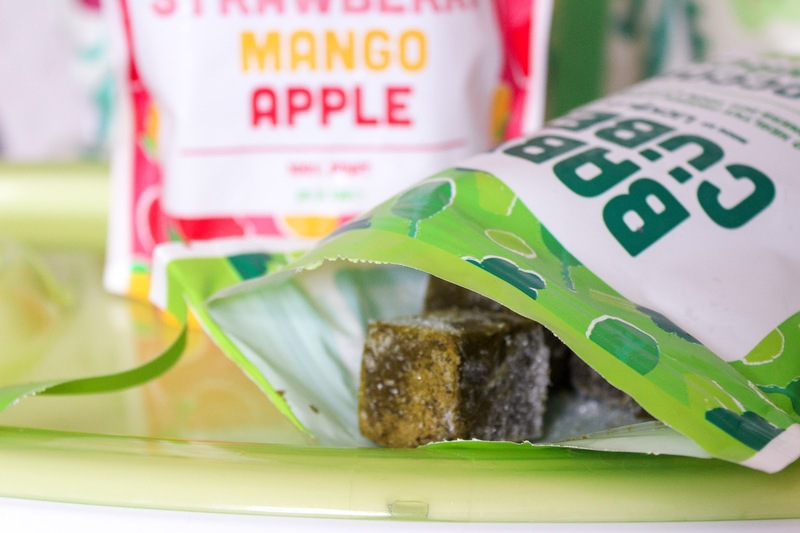 Baby Cubes are healthy frozen cubes of pureed organic fruit and vegetables ideal for little ones. 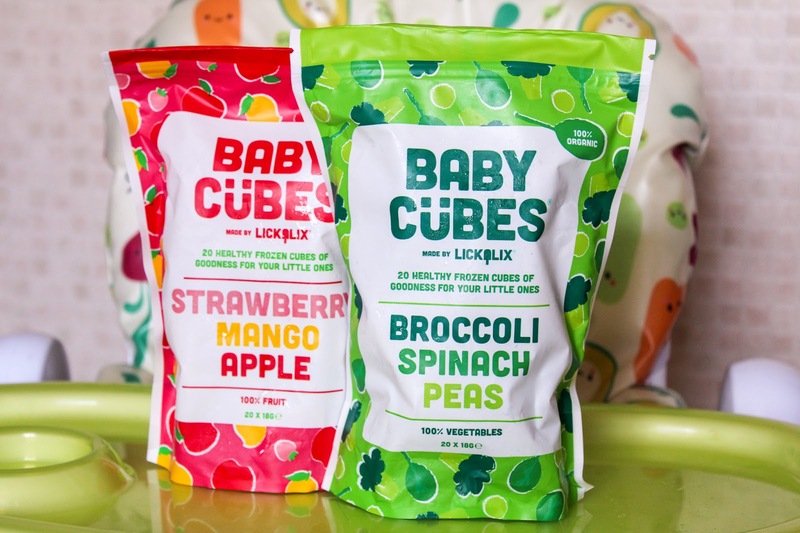 Lickalix launched Baby Cubes in April of this year in two different flavours, two vegetable and two fruit. Being able to keep them in the freezer means I can just grab a cube out when I need them to use with pasta or muffins for Joshua to munch and the fruit cubes are great for a snack frozen or defrosted. It's such a great, unique product and something I love having in the freezer. Finding dairy free food for Joshua has been an learning curve but thankfully there is so much on the market which caters for this now. For Aisha recently sent us their range of baby food pouches and we were so impressed and the smile of Joshua's face said it all. The pouches are a mix of exotic flavours, mild spices and delicious meals that Arran and I would eat. 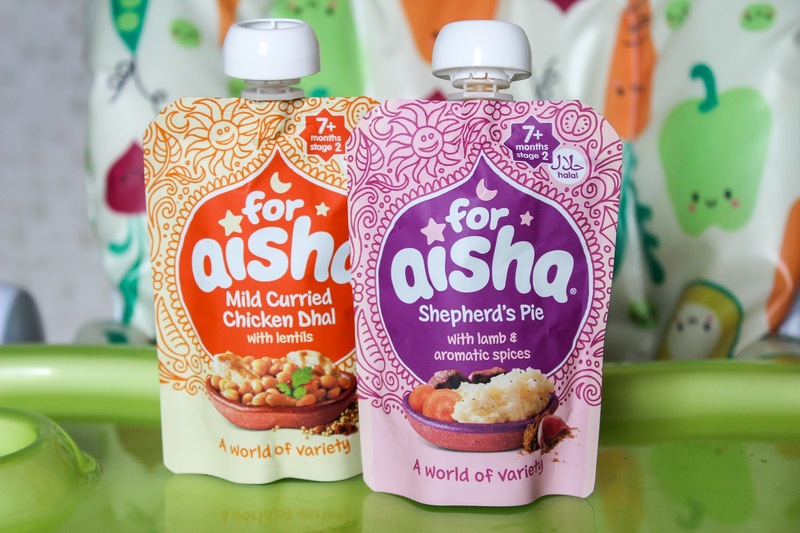 All of For Aisha's products are halal, gluten, nut, soya and dairy free with all natural ingredients. It's just really great food for little tummies. We're going to try Joshua on their toddler tray meals soon. 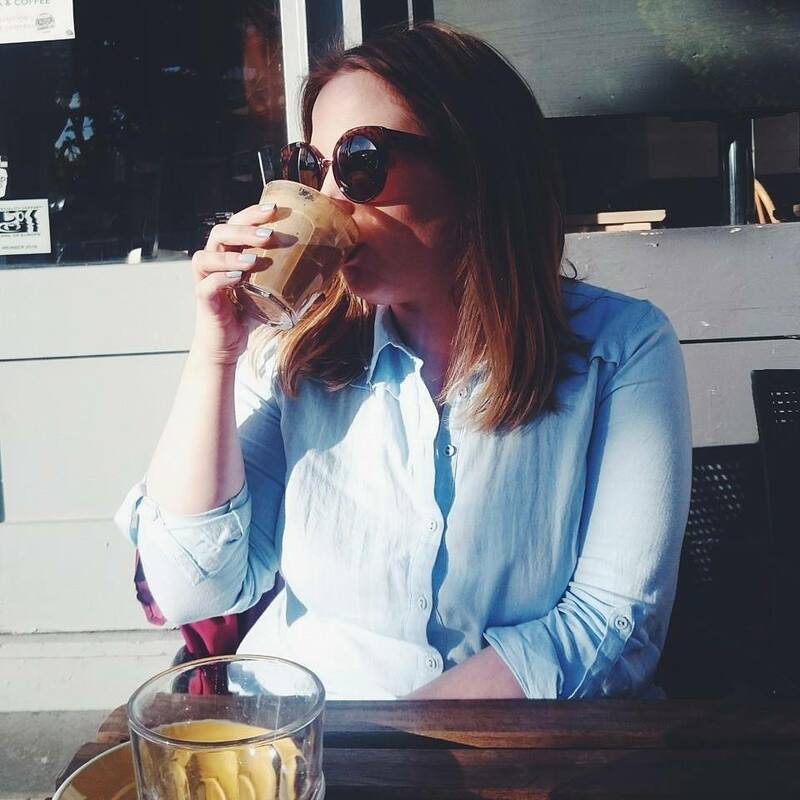 I've spoken of our love of Ella's Kitchen in the past in my Five Weaning Essentials post and the love is still strong. 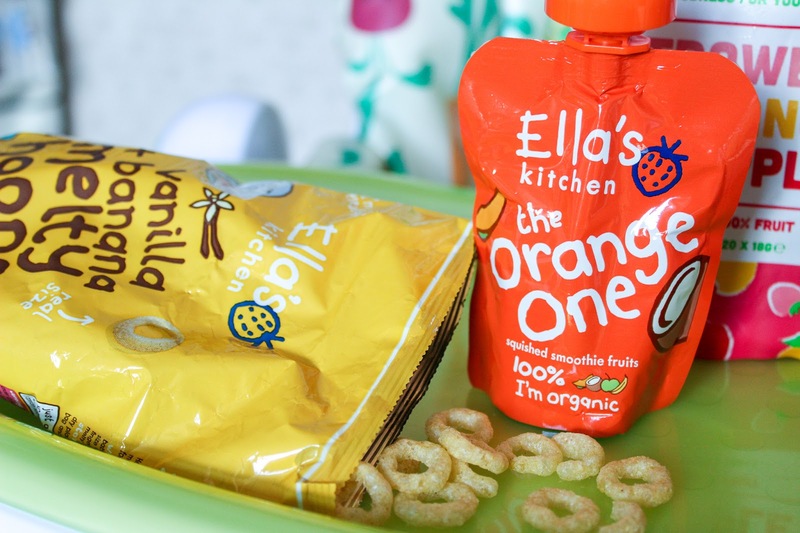 We started off using Ella's Kitchen pouches, and still do as they have a great dairy free range but what we really love about the brand is their snack selection. The Strawberry & Banana puffs are Joshua's favourite and the smoothie pouches are a big hit too. 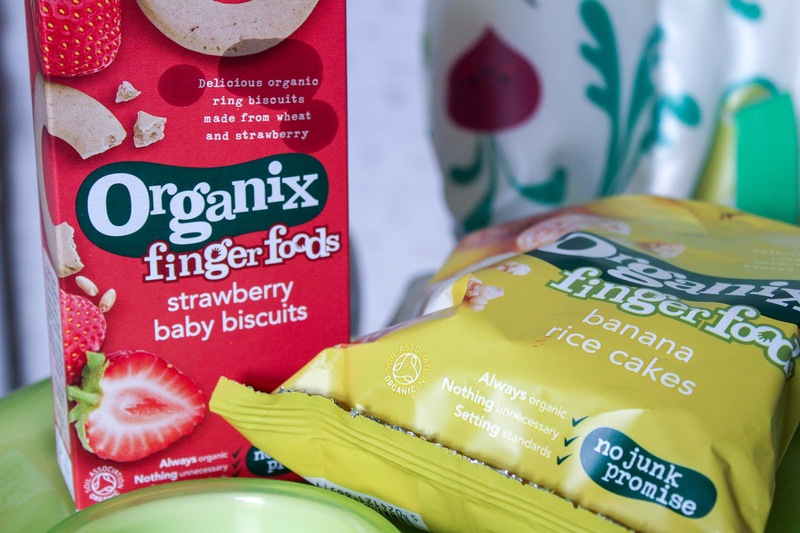 I'm always on the look out for new finger foods for Joshua to try and making sure the ingredients are right is really important to me so with an Organix offer on at Ocado a couple of months ago, I stocked up on some of their products to try. Their rice cakes are a big hit and and so are their baby biscuits for after dinner treats. We also used Organix when we were first weaning as I could mix their baby rice with his soya milk. It's a great brand and I really like their values behind the products. 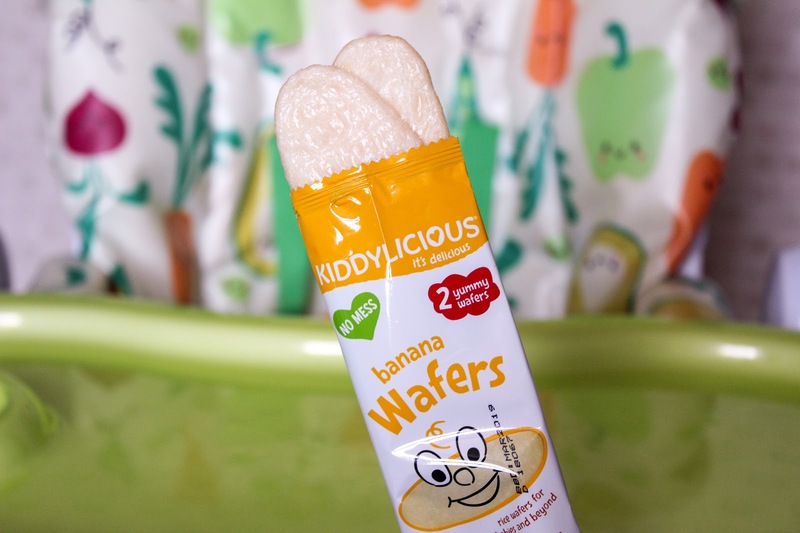 I think the main products to take from Kiddylicious are the range of wafers! How great are they? Joshua's current faves are the banana ones and we wouldn't be without them. They're so handy to have when he needs a little snack at home or when we're out and about. The Veggie Straws are fab too, so fab that I buy the multipacks and eat them with him, I reckon they'd be lovely with a dip. They have such a wide range of products that are also dairy free so it takes the stress out of food for us daily. What are your favourite brands for weaning? Contains press samples - see disclaimer. Madison is such a good little eater! She munches on everything now and basically eats the same meals as Steve and I. For snacks she’s obsessed with banana, raspberries and apple rice cakes. Whilst I wouldnt know what's good myself, I can defo judge on what people buy at work - we sell tonnes of ella's kitchen and Organix so i think a lot of people would agree with you! For Aisha meals look good! Oh they look and sound ideal! I wouldn’t mind eating them! I could literally eat all of these myself!! Those strawberry cubes look delicious!!! YUM!